ALLDOCUBE would like to make a name for itself in the tablet sector, so far it has not been possible to deliver all of this. While the ALLDOCUBE X is hotly awaited but has not yet been released, a smaller tablet has now appeared. The ALLDOCUBE M8 is particularly easy to handle. Tablet stays tablet. Despite the fact that tablets have been around for several years, the appearance has not changed much so far. The manufacturer keeps the ALLDOCUBE M8 completely in black. The relatively small display with a diagonal of 8 inches determines the size. The resolution is sufficiently large with 1900 x 1200 pixels and ALLDOCUBE uses a 16:10 aspect ratio. In contrast to the larger ALLDOCUBE X, an IPS LC display and no AMOLED panel are processed here. The dimensions are 215 x 122.9 x 8.48 mm and with a weight of 345 g it is somewhat larger, thicker and heavier than the Xiaomi Mi Pad 4. For better handling, ALLDOCUBE has rounded off the long sides of the back somewhat. Otherwise not much happens there. A camera sits in the upper left corner, manufacturer and model name are centrally on the back. The connections are located on the housing frame. On the upper side there is the Micro-USB connector and a 3.5 mm jack connector, on the right side we find the SIM slot and the volume keys. The underside only offers space for the ALLDOCUBE M8 loudspeaker. When it comes to processor selection, ALLDOCUBE cannot really stand out from the competition at the moment. The M8 is also equipped with the Helio X27 from MediaTek. The Deca-Core processor consists of three clusters: two ARM Cortex A73 cores with 2.6 GHz clock frequency, four ARM Cortex A53 cores with 2 GHz clock frequency and another four ARM Cortex A53 cores with 1.6 GHz clock frequency. Sounds like a lot of power, but the CPU is only a so called Speed-Bumb (higher clocked version) of the Helio X20, which was released in 2015. The performance should be sufficient, but it doesn’t come close to a Snapdragon 660 from the aforementioned Mi Pad 4. In addition, there is 3 GB RAM and 32 GB internal memory, there is probably no larger memory variant. But you can expand the memory by 128 GB with a microSD card. Two cameras are also available, but we doubt whether you can do much with the 5 megapixel sensor on the back and the 2 megapixel sensor on the front. 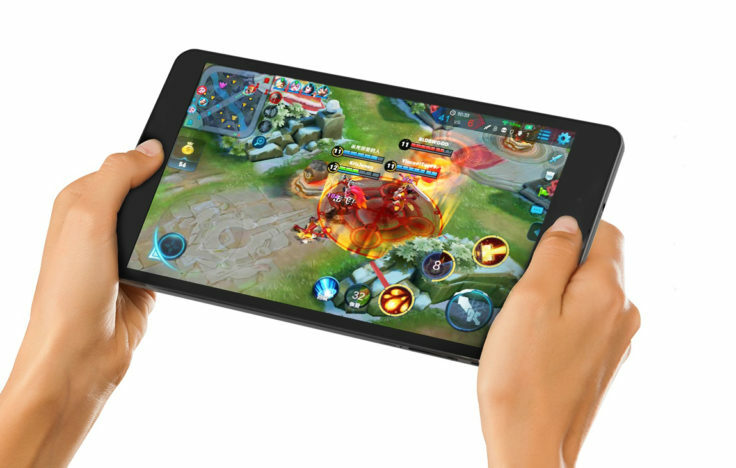 With a capacity of 5,500 mAh, the battery size is relatively average, Xiaomi’s 8″ Tablet has a slightly larger battery. The optimization on the part of ALLDOCUBE and your own use are very important here. A runtime of 8 to 9 hours should be possible in my eyes. The ALLDOCUBE M8 is particularly interesting for commuters because it has a dual SIM slot. 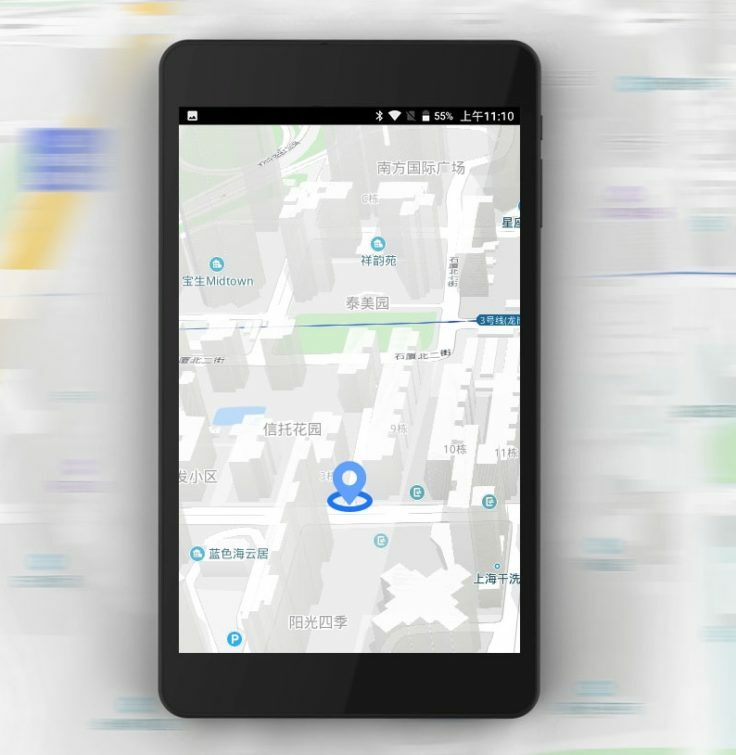 LTE is also supported, such as LTE Band 1/2/3/5/7/8 and 20, GPS, A-GPS, GLONASS & Beidou, as well as Bluetooth 4.2. For local Internet, the tablet also offers 802.11 ac/a/b/g/n Dual Band WiFi. The internal memory contains Android 8.0 Oreo as the operating system, which remains largely unaffected by ALLDOCUBE. Only a read mode and an eye-protecting mode and some small details have been added. It’s a pity that you don’t dare to jump to Android 9 yet, but that might be a bit too much to ask. We’d have to test how much the OS has changed in the end. 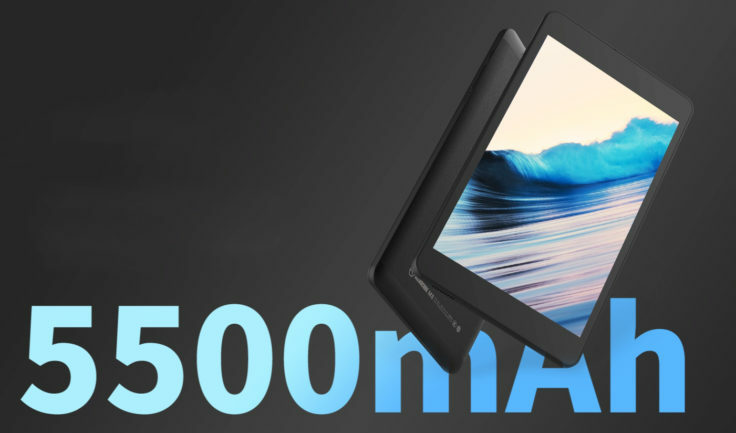 The ALLDOCUBE M8 could be a good choice, depending on what you want from a tablet. Positive in my eyes are the possibility to expand the memory, LTE, GPS and also the Stock Android. I also like the design and display if an 8 inch display is enough. The CPU is certainly not the most up-to-date, but should be sufficient for everyday applications. Compared to the Mi Pad 4, the M8 from ALLDOCUBE has to admit defeat, but if the M8 is released for the western market, it has the multilingual software as a clear advantage.